Like I said in my last post on the Spurs series, Draymond is good. 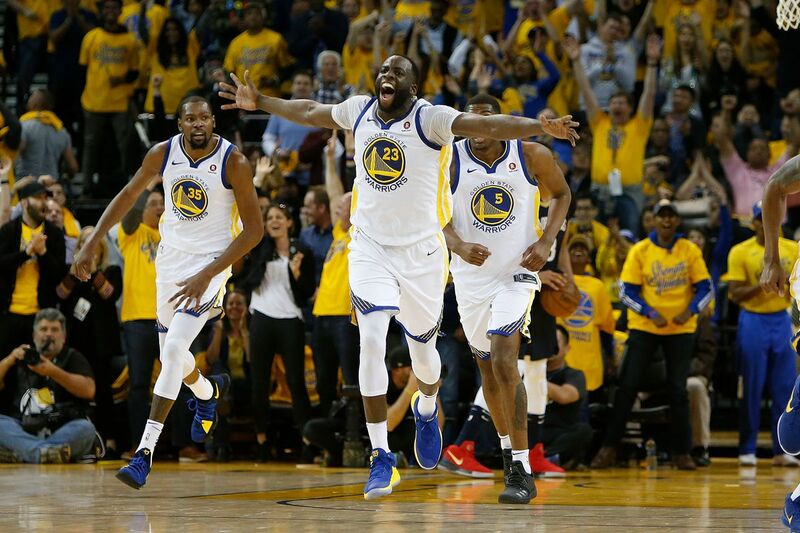 It’s kind of tongue-in-cheekish to call him “Playoff Draymond” because this is pretty much regular Draymond. 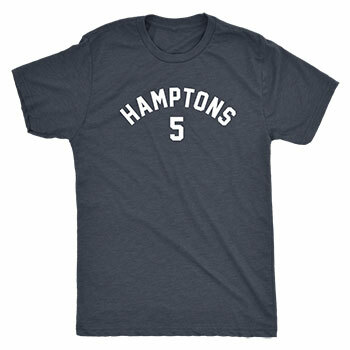 It’s his baseline, and we’re seeing he just toned it down for the regular season. Unless he suffers some kind of crazy injury next season, let’s file this away for when people start doubting him again or saying he’s maxed out (yours truly, included). Maybe he’ll wear down faster than Steph and Klay because of the physical nature of his position, but his intelligence and instincts won’t be leaving him any time soon. Much like other everyone else, I was really excited to see this team at the beginning of the season. I honestly felt they could be the best team ever because of their dominance last year and the fact that they upgraded their end-of-bench guys. But it was clear after the first couple weeks that the joy wasn’t there. I noted as much in several of my earlier “Observations” posts. Whether it was the championship hangover, the preseason trip to China, the earlier start of the season, it was obvious there wasn’t as much fun being had. Steve Kerr has of course admitted as much throughout the season. With the playoffs in full swing though, it’s like night and day. To continue the corny hashtag theme: these are the #PlayoffWarriors. 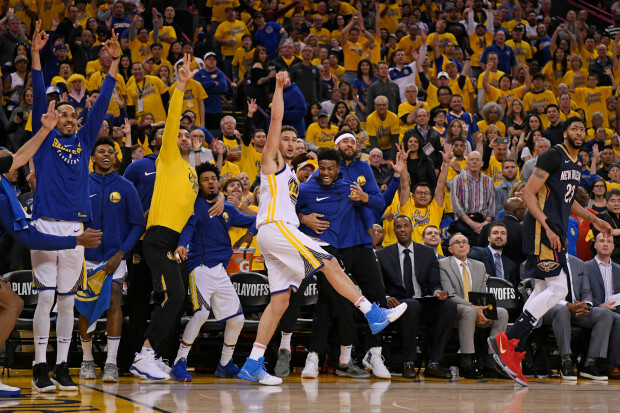 That singular moment when Klay hit that corner three in front of the bench, then turned around to a bunch of guys basically throwing a bachelor party, that’s the Warriors team that we’ve seen over the past several years — even before Steve Kerr (Kent Bazemore’s bench celebrations were particularly joyous). The law of averages dictates that the Warriors should win this series relatively handily. By halftime the Warriors had gone 5-deep into their bench, the Pelicans had gone just 3-deep — and one of those three was Ian Clark. No offense to Ian, he’s a great teammate and had some solid moments for the Warriors, but when your 11th or 12th guy from the last couple years is at worst the 3rd best bench guy you’ve got, you’re in serious trouble. Even if the Warriors and Pelicans starters play to a draw, the bench battle should be consistently won by Golden State in a seven game series. There’s not enough firepower on New Orleans, especially if Jrue Holiday doesn’t go for 30 a night like he did against Portland. At this point, no one can keep up with the Warriors offensively except for the Rockets. Also, Stephen Curry is returning. The Warriors are looking like the Warriors finally. And now they’re getting their main cog back. I have a tendency to rewatch plays over and over again not to analyze them, but to see reactions of the bench, the coach staff, and fans in the crowd. The most important person in the crowd last night was Steph. Watch the highlights below and see how much fun he’s having. In particular, look at how he’s calling out and pointing to KD on the lob before Draymond throws it. Yeah, he’s definitely locked in. Another game, another game with no technical fouls on either Draymond or Kevin Durant. When everything is going your way, you’re probably not going to lose your cool and get into it with the refs. But it was encouraging to see, when the game was still relatively close, Draymond question a foul call by standing there and just incredulously raising his palms up. He looked to be saying something but he wasn’t mouthing off, he didn’t chase the ref, he wasn’t showing anyone up. When the games get tighter, I’m sure he’ll be asserting himself more with the officials, but so far the Warriors have 5/16 wins needed to win the title, and Draymond has 0/7 technicals for a suspension.